Thank your child's teachers, coaches or administrators for all their hard work this school year. You can show your appreciation for the excellent work and dedication of our LISD educators and staff throughout the 2018-19 school year by participating in the LEEF Teacher Recognition Campaign. Select the "REGISTER" button below and for a $20 donation, the Leander ISD Educational Excellence Foundation (LEEF) will award your teacher(s) with a power bank (portable charger), a personal thank you note from you with the donation to LEEF made in their honor, and a personalized certificate of appreciation signed by their principal, the LISD superintendent, school board president and LEEF board president. 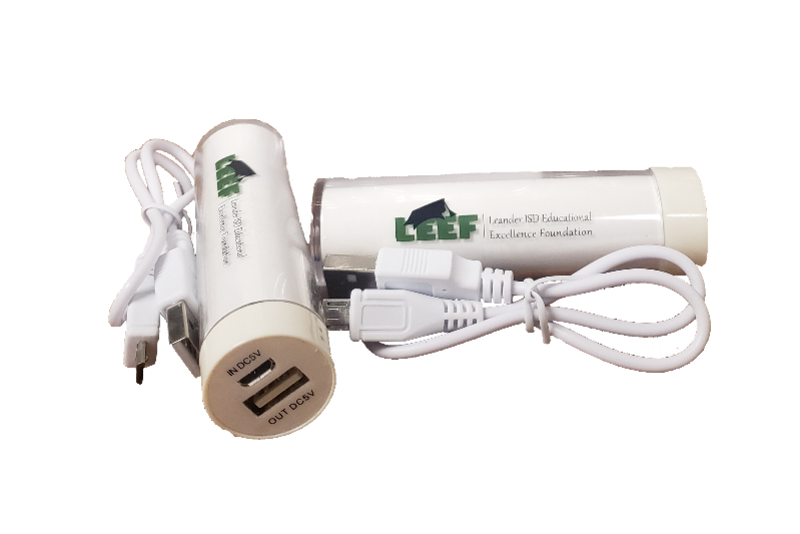 Teacher honorees will be presented with their certificate, personalized note from you, and their LEEF power bank by their principal during Teacher Appreciation Week (May 6-10). You will be saying thank you to our amazing educators while simultaneously supporting LEEF classroom grants, college coaches, early literacy, and much more!